AT the backdrop of the recession the nation’s economy slipped into last year alongside inflationary pressures, corporate results from the banking sector so far released indicate significant increases in fortune for the investors. While the general shareholders of the first batch of seven banks announcing results so far received a total dividend income of N162 billion, indicating a rise by 13 per cent against N143.3billion in 2015, directors of the banks numbering 78 recorded 20.5 per cent rise in their dividend income at N10.34 billion as against N8.58 billion in 2015. The banks are Zenith International Bank Plc, Fidelity Bank Plc, Access Bank Plc, United Bank for Africa, UBA Plc, FCMB Group Plc, Stanbic IBTC Holdings Plc and Guaranty Trust Bank Plc. Financial Vanguard analysis revealed that three of the banks, namely, Zenith Bank, Access Bank and UBA accounted for 64 per cent of the total dividend declared by the seven banks, while their directors smiled home with N9.42 billion. 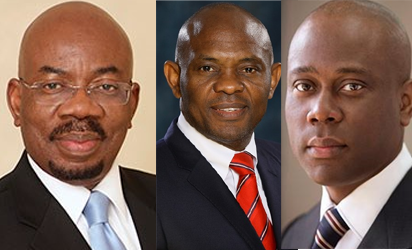 Further analysis showed that the Chairman of Zenith Bank Plc, Jim Ovia, the Group Managing Director/Chief Executive Officer of Access Bank Plc, Herbert Wigwe, and the Chairman of UBA, Tony Elumelu, benefited the most, receiving N9.25 billion, representing 89.5 per cent of the total dividend received by the 78 directors during the year. The dividend collected by the trio of Ovia, Wigwe and Elumelu also represents 5.7 per cent of the N162 billion total dividend declared by the seven banks and 8.9 per cent of N103.99 billion total dividend declared by the three banks in 2016. Though the growth in dividend income is considered commendable by some capital market analysts who are looking at the recessionary economic environment, it however, indicated a decline in real returns to the general shareholders whose income lagged behind average inflation rate of over 16 per cent during the year. But this also indicated that the basket returns to directors towered above the inflation rate. Speaking to select media personalities last weekend in Abuja, the Special Adviser to the President on Economic Matters, Office of the Vice President, Dr. Adeyemi Dipeolu, expressed surprise at the profits and returns being announced by most corporate organizations for the year ended 2016 against the perspective of adverse economic circumstance. However, Managing Director of Guaranty Trust Bank Plc, Mr. Segun Agbaje, had told journalists earlier this month at the heels of the results rolled out by some banks that the increases in figures of the bottom-line and returns does not reflect a contradictory performance against the economic situation, explaining that when measured against real exchange rate developments where Naira, the reporting currency, had depreciated by almost 60 per cent, the returns were not as impressive. He argued that when the depreciation is discounted the corporate results would be in the negative. Furthermore, breakdown of the shareholding structure of the seven banks showed that the 78 directors held 10.15 billion shares comprising of 4.4 billion direct and 5.75 billion indirect shares, which represent 5.5 per cent of the banks’ total 184.8 billion shares. The 10 directors of Zenith Bank hold 2.99 billion or 9.5 per cent of the bank’s issued shares of 31.4 billion. This was followed by Access Bank where 13 directors hold 2.87 billion shares or 9.9 per cent of the 28.9 billion issued shares of the bank. Stanbic IBTC came third with its six directors holding 1.259 billion shares, representing 12.6 per cent of the 10 billion issued shares of the bank. The 17 directors of UBA ranked fourth, holding 2.22 billion shares, representing 6.1 per cent of 36.3 billion of the bank’s issued shares. FCMB was the next with its seven directors accounting for 2.22 billion shares or 11.2 per cent of the bank’s 19.8 billion issued shares. GTB, which has 12 directors ranked sixth with the directors accounting for 64.02 million shares or 0.2 per cent of 29.4 billion ordinary shares of the bank in 2016, while Fidelity Bank, came last with its 13 directors holding 515.32 million shares, representing 1.8 per cent of 28.96 billion the bank’s shares. Zenith Bank, Access Bank and UBA accounted for 64 per cent and 60.2 per cent of the total dividend declared by the seven banks in 2016 and 2015 respectively. The total dividend declared by the three banks amounted to N103.99 billion in 2016 and N88.71 billion in 2015. In 2016, the 40 directors of the three banks, UBA, Zenith and Access Bank, went home with N9.42 billion of the N103.99 billion dividend declared by the three banks. This represents 5.9 per cent of the N162.6 billion dividend declared in 2016 by the seven banks and 9.22 per cent of the N103.99 billion dividend declared by the three banks in 2016. In 2015, the directors of the three banks received N6.83 billion or 7.96 per cent of the N88.71 billion total dividend declared by the three banks for the year. This also represents 4.64 per cent of the N143.3 billion dividend declared by the seven banks for the year. The 10 directors of Zenith Bank received N6.06 billion or 9.5 per cent of N63.42 billion dividend declared by the bank in 2016. Access Bank’s 13 directors followed with N1.70 billion, representing 9.0 per cent of N18.80 billion dividend declared by the bank in 2016. The 17 directors of UBA ranked third, receiving N1.66 billion or 7.6 per cent of N21.77 billion dividend declared by the bank. For GT Bank, its 12 directors smiled home with N707.03 million dividend, representing 1.4 per cent of N52.09 billion dividend proposed by the bank in 2016, while the 13 directors of Fidelity Bank got N86.22 million or 2.1 per cent of N4.05 billion dividend declared by the bank in 2016. Stanbic IBTC Holdings Plc’s six directors got N62.96 million dividend, representing 12.6 per cent of N500 million dividend declared by the bank. 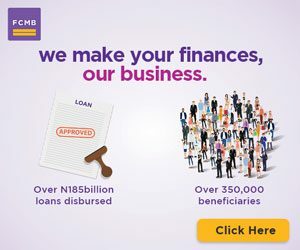 FCMB Group’s seven directors got N22.99 million, representing 1.2 per cent of N1.98 billion dividend declared by the bank within the year. Analysis of the top 10 dividend earning directors in 2016 showed that Jim Ovia, the chairman of Zenith Bank earned the highest dividend of N5.95 billion followed by Herbert Wigwe, the Group Managing Director/Chief Executive Officer of Access Bank Plc who earned N1.75 billion. Tony Elumelu, UBA chairman, was the third highest dividend earning director with N1.55 billion, followed by Olusegun Agbaje, Managing Director/CEO of GTB and Adaora Umeoji, the Deputy Managing Director of Zenith with N662.56 million and N63.87 million dividend respectively. Others are Rahan Matani, a non-executive director in Stanbic IBTC Holdings Plc, who came sixth with dividend payout of N53.23 million. 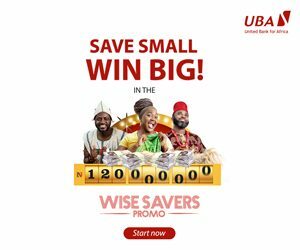 Dan Okeke, an executive director in UBA came seventh with N22.71 million; Mrs Rose Okwechime, another director in UBA got N22.59 million dividend, while Mr. Christopher Eze, the former chairman of Fidelity Bank Plc, and Ladi Balogun, a non-executive director in FCMB Group were the last on the list with N21.53 million and N20.02 million dividend payout respectively. In GTB, Mr. Olusegun Agbaje, who is the Managing Director/Chief Executive, emerged the highest dividend earner, receiving N662.26 million dividend in 2016, followed by Mr. Ademola Odeyemi, Executive Director in charge of International Banking, who receivedN18.7 million dividend. Mrs Catherine Echeozo, the Deputy Group Managing Director came third with N17.1 million dividend payment. In Stanbic IBTC, Mr Ratan Mahtani, a non-executive director, with indirect holding in the bank, got the highest dividend, earning N53.23 million. He was followed by Atedo Peterside, erstwhile chairman, who earned N6 million through an indirect holding and Ifeoma Esiri, a non-Executive director, who earned N2.3 million through direct and indirect equity interest. In FCMB, Mr Ladi Balogun,a non-executive director got the highest dividend as he smiled home with N20.02 million, followed by Dr Jonathan Long, chairman, who got N1.11 million dividend, while Mr Olusegun Odubogun, non-executive independent director, ranked third in the bank, earning N800,000 (Eight hundred thousand naira only). In UBA, Mr. Tony Elumelu, chairman, topped other directors as he received N1.55 billion dividend. Mr. Dan Okeke, an executive director, followed far behind Elumelu with N22.71 million dividend, while Mrs. Rose Okwechime, non-executive director, with only indirect shareholding in the bank, came third with N22.59 million dividend. In Access Bank, Herbert Wigwe, Group Managing Director/Chief Executive, emerged the top dividend earner with N1.75 billion dividend through direct and indirect holdings. Next was Obinna Nwosu, the former Group Deputy Managing Director, who received N19.50 million dividend, while Titilayo Osuntoki, executive director in charge of Business Banking, received N18.67 million dividend. In Zenith Bank, Jim Ovia, the chairman, towered above others, going home with N5.95 billion dividend in 2016. Ms. Adaora Umeoji, the Deputy Managing Director, followed with N63.87 million dividend, while Peter Amangbo, Group Managing Director/CEO ranked third, receiving N10.1 million dividend. In Fidelity Bank, Chief Christopher Ezeh, former chairman of the bank, emerged the highest dividend earner with N21.53 million dividend. Nnamdi Okonkwo, Managing Director/CEO, came second with N14.14 million dividend, while Mr. Robert Nnana-Kalu, a non-executive director in the bank got N14 million dividend. The post 78 bank directors get N10.34bn dividend in 2016 appeared first on Vanguard News.